This person gives a good explanation of heart-felt thinking. "Part of the goal of this study is to produce in the engaged reader a change in consciousness with respect to what will at first likely appear to be abstractions – the elements. In the beginning this type of relationship is to be expected, as the intellect struggles to make sense of the information for the first time. My goal will be accomplished if the reader is able to have the sense that the alchemical cycle of the elements is not an object for the thinking alone, but can take on the character of a language, in which the words are the carriers of a deeper meaning that requires a heart-felt thinking. In this sense, then, it is possible to feel that the experience of trying to understand the alchemical mandala is like that of meeting someone for the first time who does not speak the native language. It is only with an open, flexible interest in the other that their inner world begins to open for us so that we can experience something of the nature of their being. The alchemical mandala is like a foreign language – strange and abstract at the beginning, but ultimately capable of holding the space for meaning to flow between beings." Sorry for writing 'inner' where I meant 'outer' (I have corrected this in my previous post); you know that I know that you associate the thumb with outer world. PS. I can recommend you to ask Lynn what she thinks of Gettings elemental work; I expect that she can not identify with Gettings work at all (as he is describing in 'The Hand and the Horscope' the thumb as the fire (aries) digit, the index- + ring finger as the water (pisces & scorpio) digits, and the middle finger & pinky as the earth digit (capricorn & virgo). I am not aware that Gettings works has been adopted on a large scale, though he was one of the first western authors (maybe he was even the first) who presented an attempt to describe the elements for the hand - but Gettings appears to have it's origins in astrology only... and I think he he never talked about the element ether. Patti wrote: I uploaded in your thread a page from Fred Getting's "Book of the Hand". I agree with Gettings that the thumb represents how we put our inner self out into the external world. I've never taken Gettings elemental work on board, because I am not an astrologer, and I am happy with the elemental system that I already use. Tho it is thought that Dukes nicked elemental hand shapes from Gettings. But that is aside from the point that Patti was making. I have just replied on the other thread. I also agree with Gettings that the thumb represents how we put our inner self out into the external world. Lynn, I find your word choice very interesting here! Did you have any specific passage from Gettings work in mind when you wrote this? If yes, can you please present a quote from his work? PS. In my view, I could say that the thumb represents inner qualities that make it possible to put our inner self out into the external world. But the thumb can not do this by itself: the thumb needs to fingers to do this! 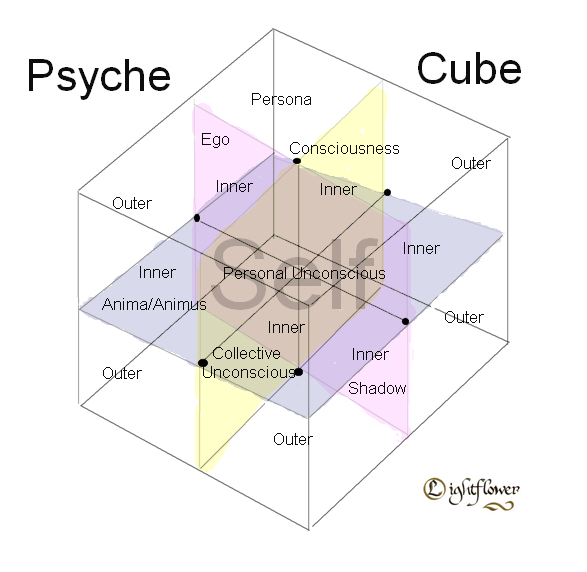 I see Animus/Anima with the heart line and it's development toward more subtle feelings. Martijn, this discussion is interesting. But, why do you repeatedly pick up(or make a meaning) words in a way that supports what you want to convey? JF and Jen's wordings on the upper-ulnar quadrant relating to communications and the external world. What is your opinion on JF and Jen's view on the thumb side? and Birla and the other author's view on upper radial side? EDIT Anyways, this is not a suitable thread for thread for this discussion again. Lynn wrote: I have just replied on the other thread. I also agree with Gettings that the thumb represents how we put our inner self out into the external world. Actually I notice I used the same words as Patti. Really this is the subject of the other thread about the thumb, but as you asked here I will reply here. knox gillespie wrote: I see Animus/Anima with the heart line and it's development toward more subtle feelings. I'm trying on this concept but am not sure how to understand it. When you say subtle feelings, do you mean the Animus/Anima makes its appearance via subtle feelings such as unconscious emotional reactions? Reactions that may not make sense to the person with the feelings or the person they are showing these feelings toward? Kiran.Katawa wrote: Martijn, this discussion is interesting. But, why do you repeatedly pick up(or make a meaning) words in a way that supports what you want to convey? hi Kiran, I replied to you earlier before I replied to Martijn, but it didn't post. I didn't see your edit (guess you were editing while I was writing) - I have also said this is the wrong thread for this discussion. I don't know whether to merge these thumb posts with the other discussion, tho I will leave it to Martijn. Anyway I had posted to say: Thank you for your post, your observations, and for asking the questions that you asked. I have highlighted Lynn's words because these words literally illustrate that even when one 'associates' the thumb with the outer world... there could very well be an underlying fundamental connection between the thumb and the inner world. However, I am not sure if Lynn's word choice should be taken as a specification of the principle that she has adopted. Regarding JF and Jennifer's view, their works do not explicit suggest that they have thought things through regarding this issue; in their writings they don't take an explicit standpoint regarding the thumb. But I am also aware that many students simply tend to adopt the principles used by their teacher... without giving much thought about the fundamentals and the implications. In the other topics I have described more details about how I perceive thinks solely based on the fundamentals of the philosophy being used, so I hesitate to start pointing out to my earlier observations in the other topic here again... especially since your first comment suggests that in your opinion this might not be the right place to continue the earlier discussion. Anyway, I appreciate your questions Kiran! I observe that in these quotes Gettings does not refer anyhow to the inner world. But I want you to know that I very much like your words describing how the thumb relates to how we put our 'inner self' out in the "outer world". Maybe the difference between my view and your view is that you perceive the thumb doing this directly, while I perceive the thumb doing this via the other fingers. The hand is read in combination of all its parts. This is my first attempt and I'm still tweaking it, but wanted to share the idea. In this sample I placed the inner on the colored planes and the outer in the white spaces. Outer could also be outside the cube.